New Brunswick, NJ, July 28, 2017 — RWJBarnabas Health and Rutgers University yesterday announced plans to partner and create the state’s largest academic health care system dedicated to providing high-quality patient care, leading-edge research and world-class health and medical education that will transform and advance health care in New Jersey. Rutgers University President Robert Barchi, RWJBarnabas Health President and CEO Barry H. Ostrowsky and Rutgers Biomedical and Health Sciences Chancellor Brian Strom provided details of the new partnership outlined in a formal Letter of Intent during a ceremony at the Rutgers Cancer Institute of New Jersey in New Brunswick. The new venture will enhance the delivery and accessibility of evidence-based health care across the state; boost the recruitment of prominent academic, research and clinical practitioners; and strengthen the advancement of health science innovation and education. 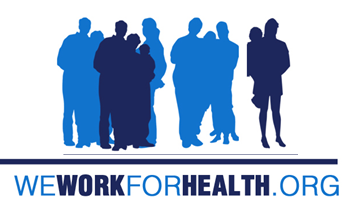 This collaboration aligns RWJBarnabas Health, New Jersey’s largest health care system; Rutgers, The State University of New Jersey; and Rutgers Health Group – a faculty practice of approximately 1,000 Rutgers-employed physicians, dentists, psychologists, nurses, pharmacists and other health care professionals. 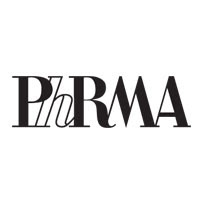 The alliance will result in a multi-specialty group comprised of more than 2,500 practitioners – one of the largest medical groups in the country. “The affiliation between Rutgers and RWJBarnabas Health to create the premier academic health care system in the state will accelerate the recruitment of world-class clinician-investigators to our health sciences faculty,” said President Barchi. “The foundation of this exciting, new partnership is built on the long-standing strengths and reputation of two great organizations,” said Mr. Ostrowsky. “The clinical delivery of services will be managed and led by RWJBarnabas Health in coordination with Rutgers, and the academic and research functions will be managed and led by Rutgers in coordination with RWJBarnabas Health,” Ostrowsky continued. 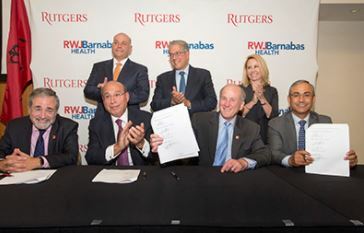 The new collaboration will align RWJBarnabas Health with Rutgers’ education, research and clinical activities, including those at the Rutgers Cancer Institute of New Jersey and Rutgers University Behavioral Health Care. 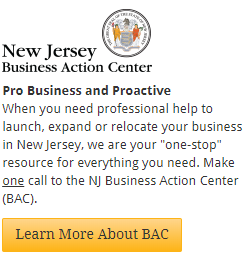 Patients throughout New Jersey will benefit from increased access to providers across disciplines, including physicians, nurses, dentists, physician assistants, pharmacists, psychologists, social workers, and behavioral health and addiction professionals. Patients will eventually have access to the newly developed centers of excellence, including groundbreaking medical research and clinical innovation, and to clinicians who are leading scholars and faculty in their fields. RWJBarnabas Health and Rutgers University will remain separate corporations; Rutgers faculty will remain Rutgers faculty and Rutgers will provide clinical services to RWJBarnabas Health through Rutgers Health Group. The newly formed academic health care system will create a joint committee for strategic planning and oversight. “Our new alliance will better enable us to educate the next generation of health care professionals and offer the top-tier health education and training necessary to provide health care in an ever-changing environment, developing one of the best academic health systems in the country,” said Chancellor Strom, who oversees eight schools of health professions and biomedical research at Rutgers. This partnership is the next natural step in a long-standing relationship between the two organizations. For example, Robert Wood Johnson Medical School and Robert Wood Johnson University Hospital have long been partners. In November, the university broke ground on a new athletic facility to be named the RWJBarnabas Health Athletic Performance Center, which will house a best-in-class sports medicine program. It will be completed by July 2019. Rutgers and RWJBarnabas Health officials said they will now begin jointly recruiting leading academic, research and clinical practitioners in support of the proposed partnership. For example, earlier in 2017 Rutgers and RWJBarnabas jointly recruited Dr. Steven Libutti, a nationally renowned researcher and clinician to lead both the Rutgers Cancer Institute of New Jersey and the Cancer Services of RWJBarnabas. Their shared goal is to develop centers of excellence; invest in clinical, academic and research innovations; educate health professionals; and improve health through coordinated patient outreach, prevention and treatment of disease. RWJBarnabas Health is the most comprehensive health care delivery system in New Jersey, with a service area covering five million people. 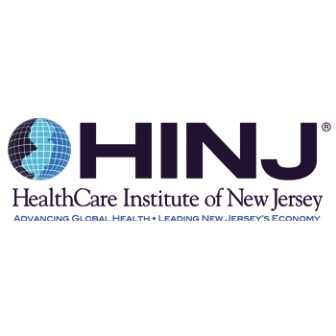 The system includes eleven acute care hospitals – Clara Maass Medical Center in Belleville, Community Medical Center in Toms River, Jersey City Medical Center in Jersey City, Monmouth Medical Center in Long Branch, Monmouth Medical Center Southern Campus in Lakewood, Newark Beth Israel Medical Center in Newark, RWJUH-New Brunswick, RWJUH-Somerset, RWJUH- Hamilton, RWJUH- Rahway and Saint Barnabas Medical Center in Livingston; three acute care children’s hospitals and a leading pediatric rehabilitation hospital (Children’s Specialized Hospital), a freestanding 100-bed behavioral health center, ambulatory care centers, geriatric centers, the state’s largest behavioral health network, comprehensive home care and hospice programs, fitness and wellness centers, retail pharmacy services, a medical group, multi-site imaging centers and two accountable care organizations. RWJBarnabas Health is New Jersey’s largest private employer – with more than 32,500 employees, 9,000 physicians and 1,000 residents and interns – and routinely captures national awards for outstanding quality and safety. Rutgers, The State University of New Jersey, is a leading national research university and New Jersey’s preeminent, comprehensive public institution of higher education. Established in 1766, the university is the eighth-oldest higher education institution in the United States. Approximately 69,000 students and 22,500 faculty and staff learn, work and serve the public at Rutgers University-New Brunswick, Rutgers University-Newark, Rutgers University-Camden, and Rutgers Biomedical and Health Sciences and at additional locations across New Jersey and around the world. Rutgers Biomedical and Health Sciences (RBHS) takes an integrated approach to educating students, providing clinical care, and conducting research, all with the goal of improving human health. Aligned with Rutgers University-New Brunswick and collaborating university-wide, RBHS includes eight schools, a behavioral health network, and six centers and institutes that focus on cancer treatment and research, neuroscience, advanced biotechnology and medicine, environmental and occupational health, health care policy and aging research, and translational medicine and science.